DON’T FORGET ABOUT DAYLIGHT SAVINGS TIME! We’ll be falling back an hour this Sunday, so adjust your clocks before you go to bed on Saturday. 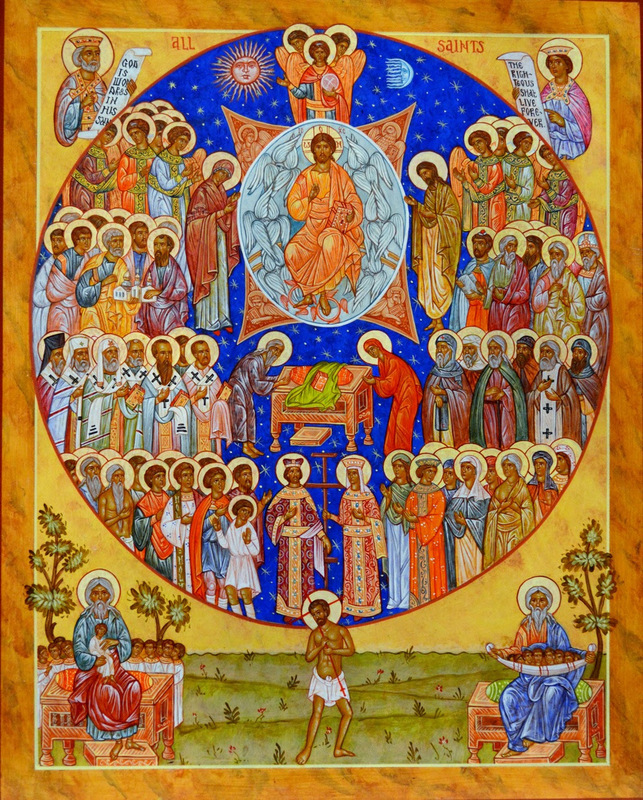 Lutherans believe in the sainthood of all believers, so every year we remember those who are gone on the first Sunday of November, All Saints’ Sunday. As we read all the names recorded in the Book of Life this Sunday, take time to reflect upon the cloud of witnesses that have impacted your life and continue to do so. All through November, we’ll be talking about stewardship of all kinds. This is the time of year when our Council and committees work on plans for the new year, what we want to do and how we will accomplish those things. On November 18, there will be a chance to come forward in worship and place our pledge cards at the altar. A pledge card is you own personal plan for supporting the church in the coming year. It’s your estimate of what you plan to give in dollars to the church during the year. We bring it to the altar during the offering because your financial support isn’t like membership dues. Your offering is what you give to make God’s grace and peace known in the world. It’s part of your work to build a world that reflects the kingdom of God. It’s important, so please plan to bring your offering forward on November 18. Fellowship is an important element of our time together on Sunday mornings, and it’s always enhanced by snacks. At Augustana, we do not have one committee that handles this. We take turns, and as Jean Nye said on Sunday, if everyone signed up for one week per year, we’d be covered. If you are able to serve in this way in November, please sign up in the narthex, or call or email the office and ask Shelley to sign you up. 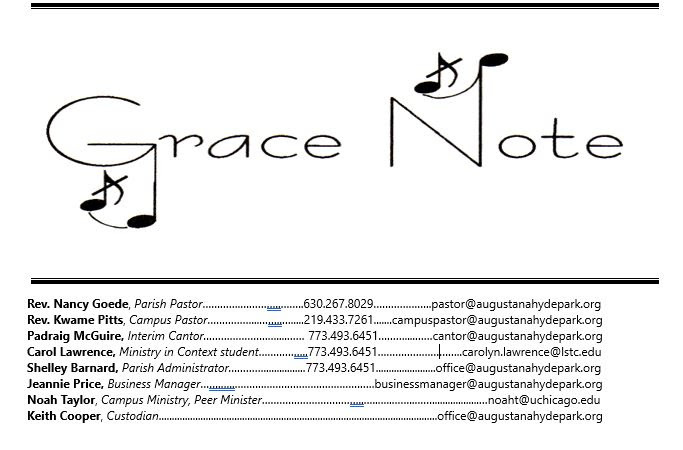 [office@augustanahydepark.org OR (773)493-6451]. Coffee hosts need to bring a few snacks and set them out. All of this can be store-bought and can be as easy as chips and pretzels. Hosts set up things like cups and creamer for coffee, then load the dishwasher and clean up. We are thankful to all of you who have taken turns! For many, an important part of Thanksgiving is the Interfaith Service held at Rockefeller Chapel each year. The service starts at 11:00am, and the collected offering goes to support hunger programs in Hyde Park. Make it if you’re able. Better yet, sign up to be an usher! There is a strong need for twelve to sixteen ushers, folks who are willing to come as early as 10:00 and stay for a half an hour after the service. Please sign up! Augustana has an opening for a nursery attendant. We need someone for the second service only and will pay $20 per Sunday. Candidates do not need to be members, but they must be able to pass a background check. If you love small children, please talk to Pastor Goede or Carolyn Rahaman about the position. The food bin for canned and dry goods in the hall is not just for the food pantry. There are several people who worship with us who take items from it on a regular basis. Sometimes people stop by looking for food, and it’s good to have something to give them also. Next time you’re at the grocery store, consider getting a few extra items for people in need. If you’re unsure about what to buy, please be aware that we need things beyond vegetables. There is a strong need for foods high in protein, like canned meat, chili, mac n cheese, and peanut butter. Also please consider that some of the food-insecure people who stop by have kitchens, but some are homeless and have no means for heating up foods. Ideally, we would have a variety of items that could help both populations. 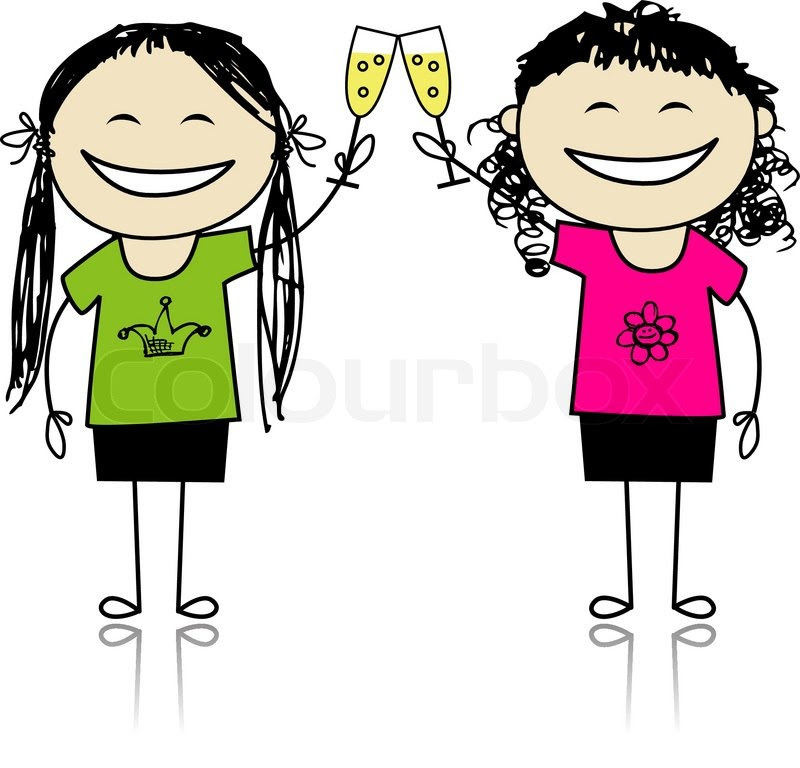 Chris Tompsett will host an evening of libations for the women of Augustana at her home tomorrow, November 2, at 7:00. Leave the kids and the husbands at home and come enjoy the companionship of your sisters in Christ. 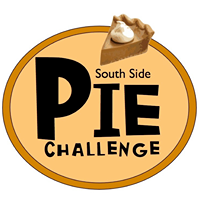 Come to the Hyde Park Neighborhood Pie Challenge this Saturday, November 3rd, at 2:00. Every penny earned goes to the Hyde Park Food pantry, which must mean that these pies are calorie-free. Come devour them! 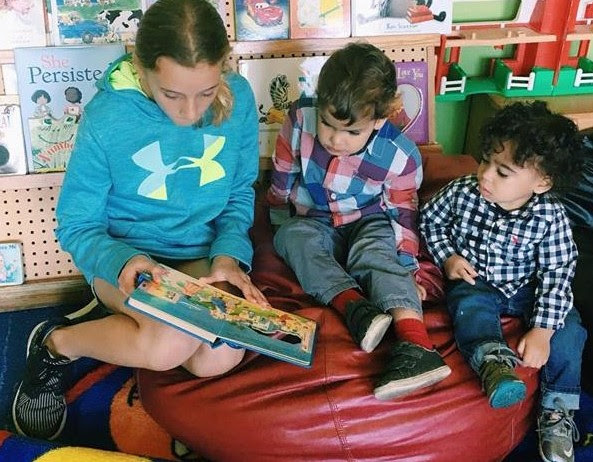 There are lots of ways to be involved with the Hyde Park Refugee Project, including tutoring, mentoring, and homework help; translation for those with language skills; transportation and help navigating government, health and social service agencies; and sharing your interests, like teaching a craft or a skill. More information is on the Project’s website, hydeparkrefugeeproject.org. 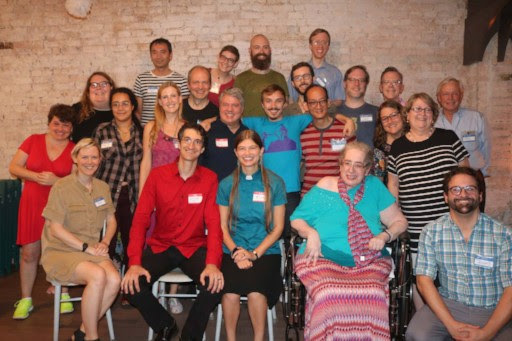 Rostered leaders and congregations are already signed up to receive Metro e-Word, the weekly electronic newsletter of the Metropolitan Chicago Synod, but individuals can sign up as well. Get reminders about events, notification about when the monthly newsletter and supplement to Living Lutheran are available online, and more. Sign up at www.mcselca.org/news (lower right-hand side of page). 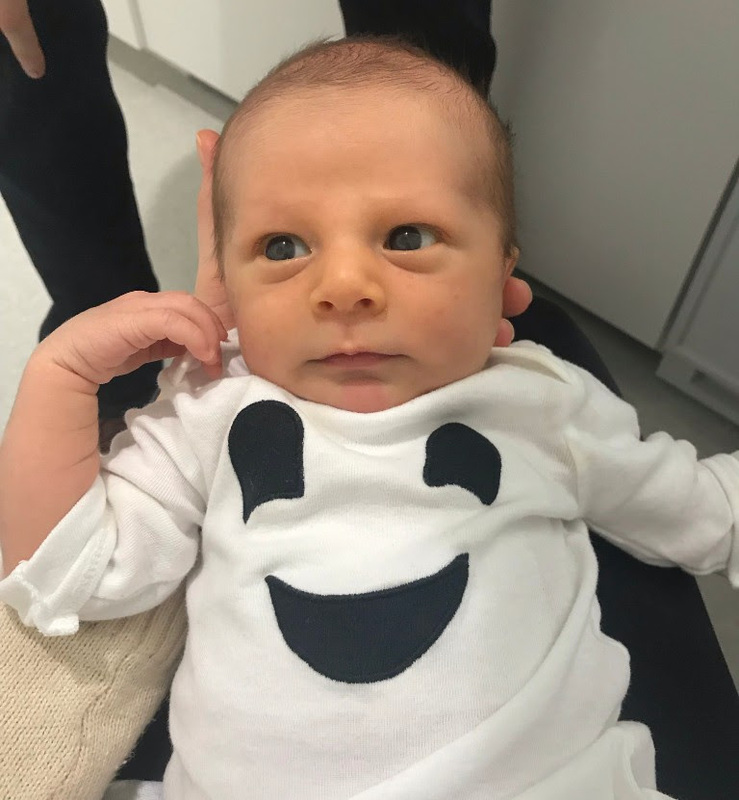 We thank God for Augustana’s newest member, boooo-tiful little Otto Jensen. Congratulation, Rebekah and Tyler! Held between services, at 9:30 am, this year’s adult forum has scheduled an impressive array of topics for this coming year. While subject to change, the full roster can be found in the link below. This week, Esther Menn, a professor at LSTC, will discuss Mt. Sinai and holiness. Next Sunday, Pastor Kwame Pitts will be giving us an introduction to the Parliament of the World’s Religions. 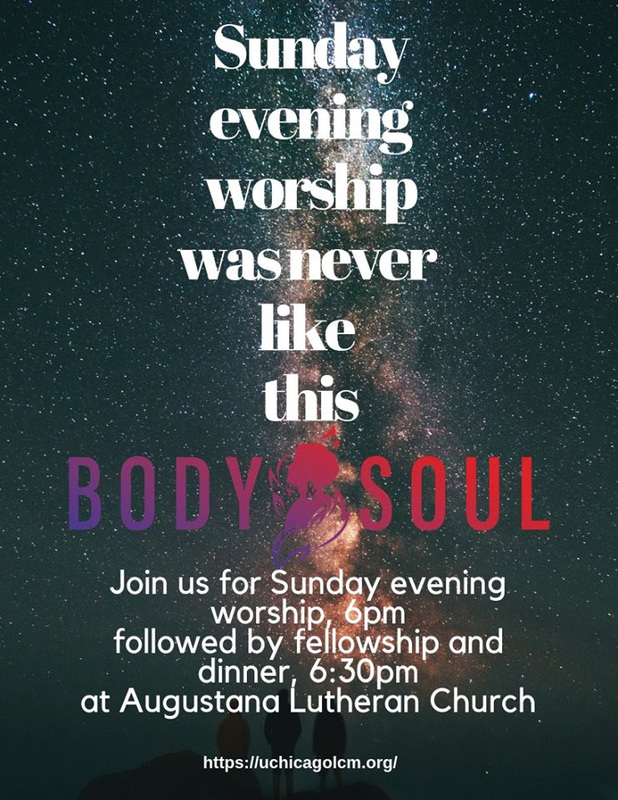 Updates from Body and Soul Campus Ministry! 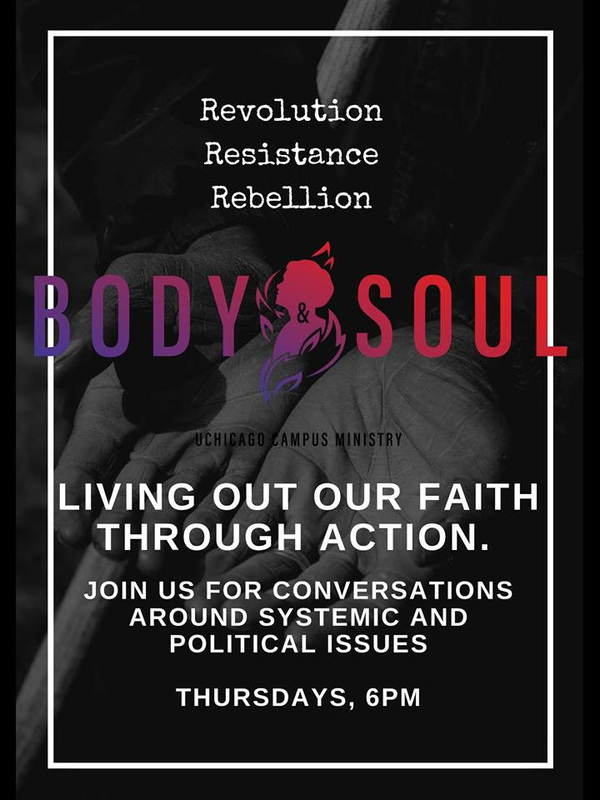 There are also topical conversations every Thursday at 6:00. Pastor Kwame has lined up an excellent list of speakers on a variety of subjects, and all are welcome to join. Augustana is proud to provide space to the Hyde Park Village and for their programs, such as yoga classes, decluttering advice, and steppin’ sessions. We’re pleased to learn that they are celebrating their four year anniversary on Thursday, November 15, at 5:30-7:00 pm at the Hyde Park Bank. It should be a fun evening of fellowship and light refreshments to honor their members, volunteers, and generous donors. One of the Village’s most popular programs are the Steppin’ Classes that are held at Augustana every Wednesday from 6-8pm. Everyone is invited to this fun dance program! Many thanks to those who stayed for last week’s workday. Max Kellogg even made a friend stay and help, which sets the bar pretty high for the rest of us. But those who worked so hard, including scrubbing on their hands and knees, also deserve our thanks, including Tawny Butler, Keith Cooper, Nancy Dishno, Sandy Henley, Deborah Ho, Robin Mitchell and Urs Schmidt-Ott. The two Cubs Scouts who were here selling popcorn asked if they could help, and they were (maybe not surprisingly) maniacs with a spray bottle and scrub brush on a long stick. Their moms had to work to get them to leave. We got lots done, but there are still things to do at Work Day Part II, scheduled for next Sunday, November 11. Some might be enticed by the need to get up on the roof to clean gutters. But there are jobs for all abilities. Be prepared to wear your grungiest clothes to the second service and stay after coffee to make our church shine. All are invited to Elsa Marty’s ordination! By the grace of God and the call of the Church, Elsa Marty will be ordained to the Ministry of Word and Sacrament at Augustana Lutheran Church of Hyde Park on Saturday, November 10, 2018 at 2:00pm. All rostered leaders are invited to vest and process. The color of the day is red. A light reception will follow. Elsa has been called as Pastor at St. Lydia’s Dinner Church in Brooklyn, NY (pictured above). 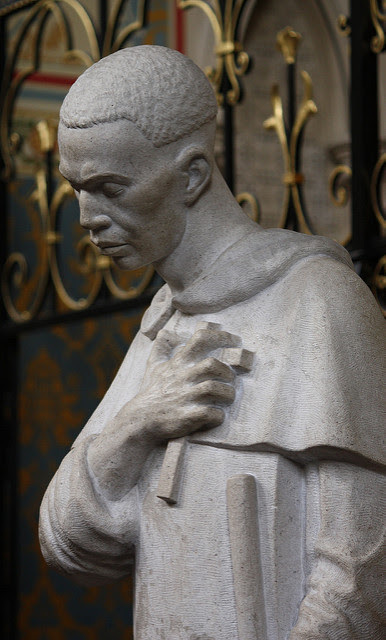 The illegitimate son of a freed slave and a Spanish official, Saint Martin de Porres nursed the sick and cared for the poor, regardless of race, color, or social or economic status. In addition to his hospital, he also founded an orphanage and a pet clinic, cared for escaped African slaves, and managed the budget at his Dominican order with skill and wisdom. Martin de Porres is considered the patron saint of African-Americans, barbers and hairdressers (his first trade before going to the monastery), race relations, social justice and, oddly, radio. 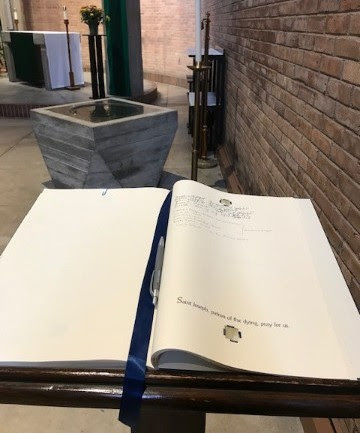 November 10, 2018 – Elsa Marty’s Ordination.